The ultimate for the demanding angler. 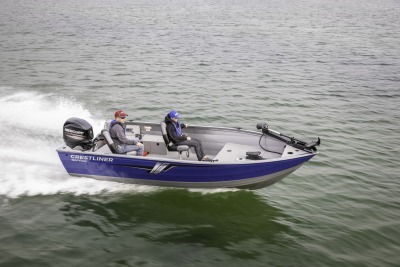 These are the legendary aluminum welded fishing boats from Crestliner. 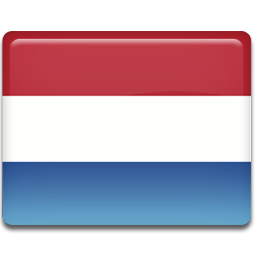 Order your own unique Crestliner, fully customized to your personal requirements, including depth gauges and electric bow trawling engines. Crestliner sportfishing boats combine an extremely strong design with a very nice design and a luxurious, personal execution. The Crestliner 1600 Vision has an open and large front deck where you have plenty of room to bring your fish. The boat contains a lot of storage space for your rods, a 64-liter fishbowl, optional jump seats and a back deck. With the fully welded aluminum hull you can confidently put the water on. We do not have to say that you have to go fishing. We just have to give you a reason and the Discovery is a good reason. From bow to mirror you will find a practical and functional equipment, such as an aerated fishbowl, storage space in the bow and rod storage in the floor. Every trip starts with confidence in this durable welded aluminum welded fishing boat. 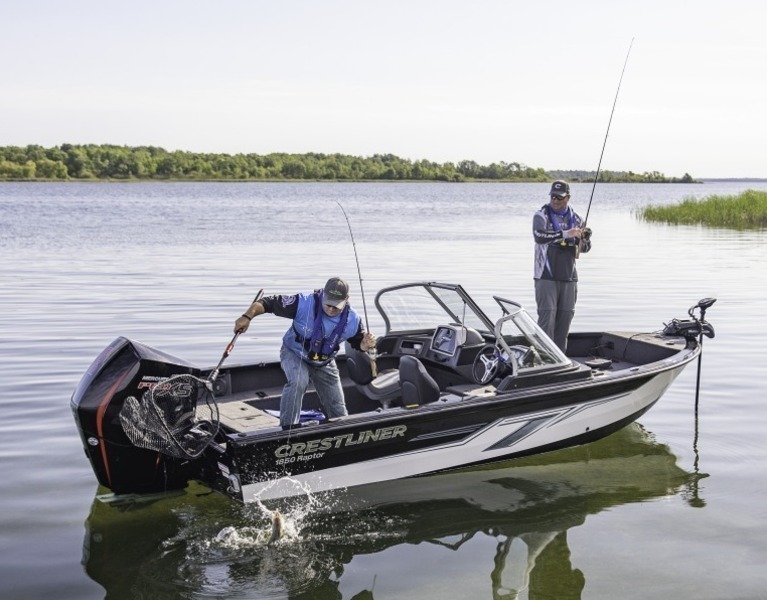 The Crestliner 1650 Pro Tiller is a great boat that lets you easily navigate to the perfect catch. This tiller boat has enough space for fishing and the aft deck is equipped with a 65 liter aerated fishbun and a 13 liter bait bun. You have everything in the area for when the fish bite. With the 1800 Kodiak you come almost anywhere on the water. 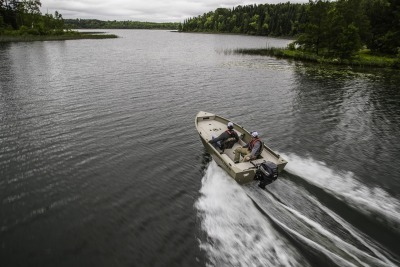 This durable fishing boat has an ultra-robust aluminum deep-v hull for maximum strength. In addition, the 1800 Kodiak has an aerated 83 liter fish bun, sufficient storage space in the foredeck and plenty of space for fishing. This heavy aluminum boat is perfect for fishing wherever you want. The new Crestliner 1650 Fish Hawk is 16 feet in fully welded aluminum strength. New on the outside of this boat are the railing and the variety of new color options. On the inside you will find a brand new console with a 12V socket, multiple cup holders, illuminated rockers and space for 12" electronics. 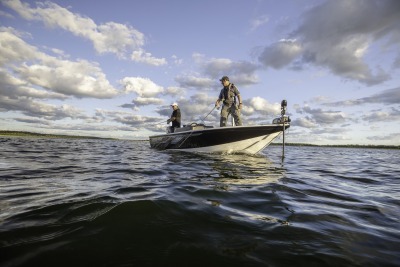 The 1750 Raptor was built to take you to a successful fishing adventure. This Crestliner boat provides strength and stability with a 4-part aluminum welded hull, a double welded keel and a wood-free mirror. The boat is available in several versions including the side console and the walkthrough configuration. The Crestliner aluminum boats are beautifully lined, light weight and very durable. 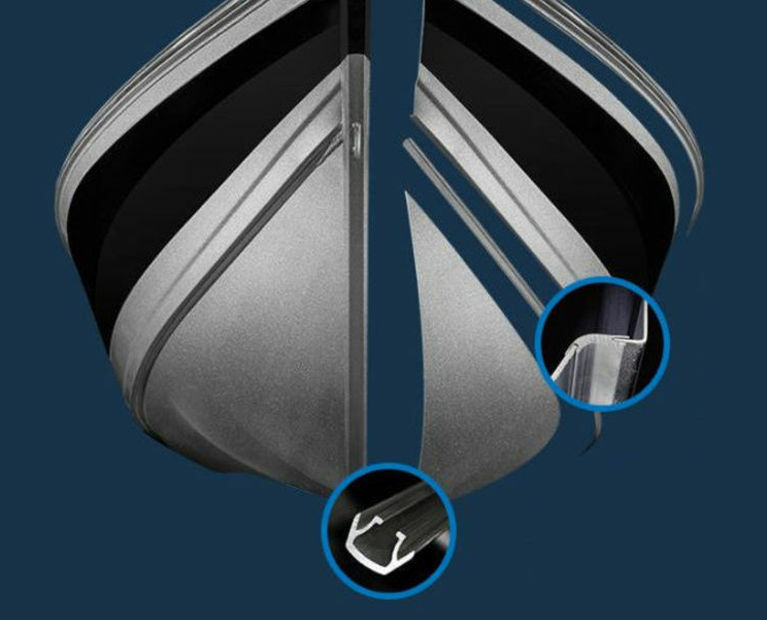 Based on almost 70 years of experience in building boats, we have developed a Four-X Hull for the Deep-V boats. This means that the hull is made up of four aluminum panels that are connected to each other by interlocking aluminum profiles and integrated 'spray rails'. This creates a robust water-repelling hull. The keel is constructed with the help of a spring and groove profile in one piece. You can see an image of our keel profile above. The aluminum flat panels are placed in the grooves and then the whole is completely welded on the inside and outside. This method of construction ensures that the keel is the strong center of the boat! A spring and groove profile is also used for the transition from the plane of the boat to the sides. This interlocking profile ensures a tight line, perfect fit and water-repellent properties. This too is completely canceled. The hull of the boat is set up and fixed with the aid of a jig. This ensures that the dimensions are the same for every boat. After fixing, the aluminum panels of the surface and the sides are connected to the interlocking profiles. This is done with small tacking. After this, the dimensions are checked again. 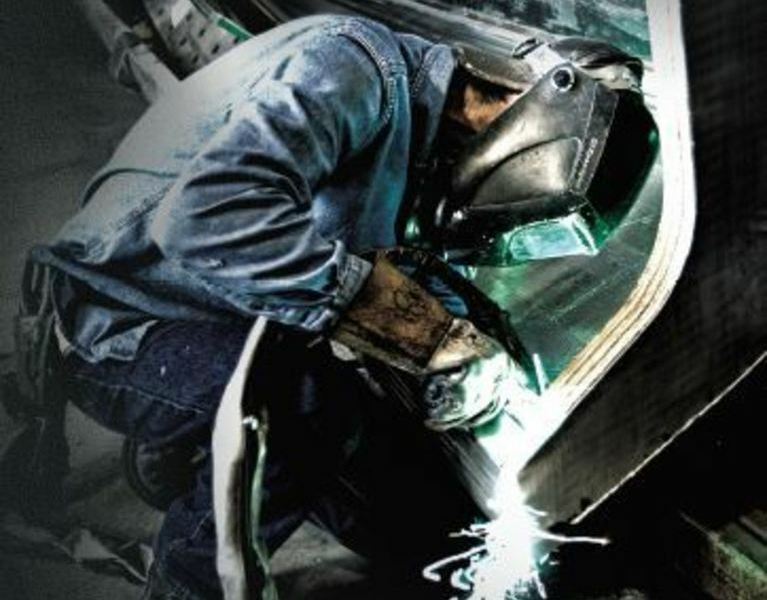 After approval the entire welding process starts. Your Crestliner is refined and tightly finished. Sharp edges or excellent pump nails where fishing lines can get stuck, you will certainly not find with your Crestliner. 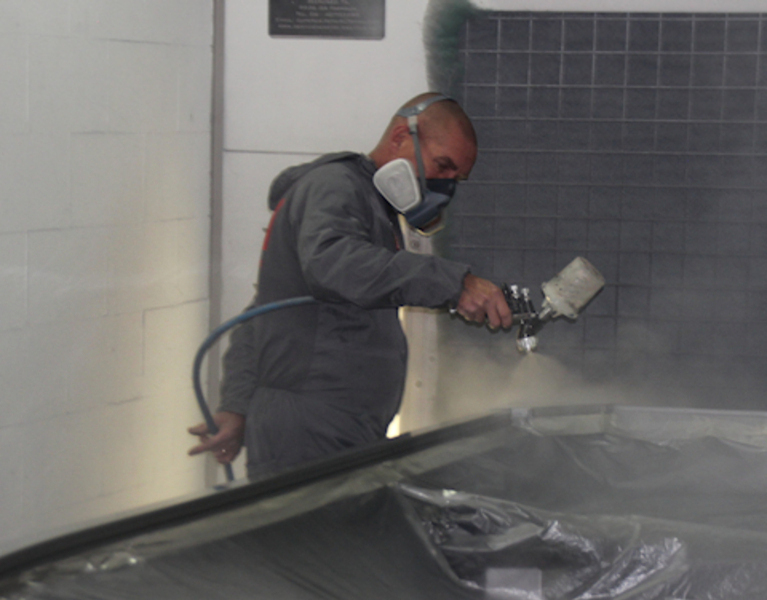 The boat is completely sanded by hand, for a superior adhesion of the primers and paints. The paints are of high quality and partly due to the use of ovens the end result is a durable high-gloss finish. 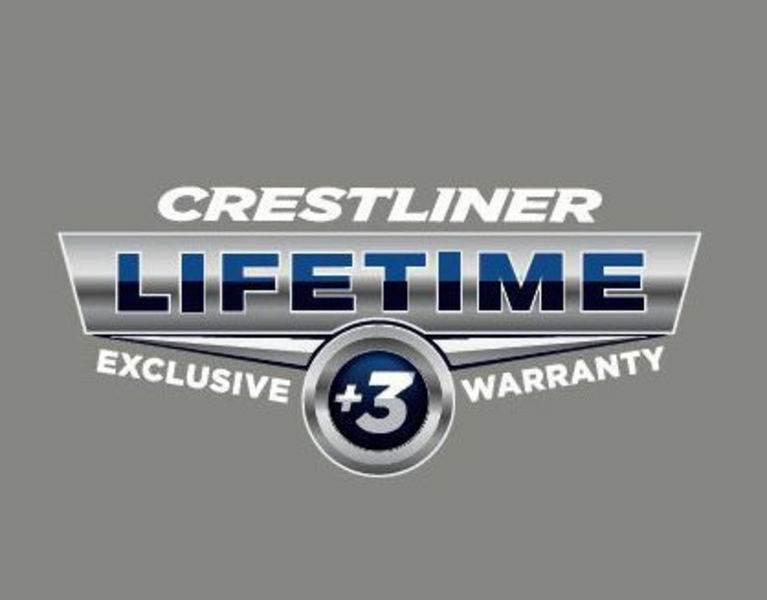 Crestliner Deep V boats give a lifetime warranty on the hull. You will also receive a 10-year guarantee on the frame construction of the interior and a 3-year warranty on all other components from the bow to the stern. 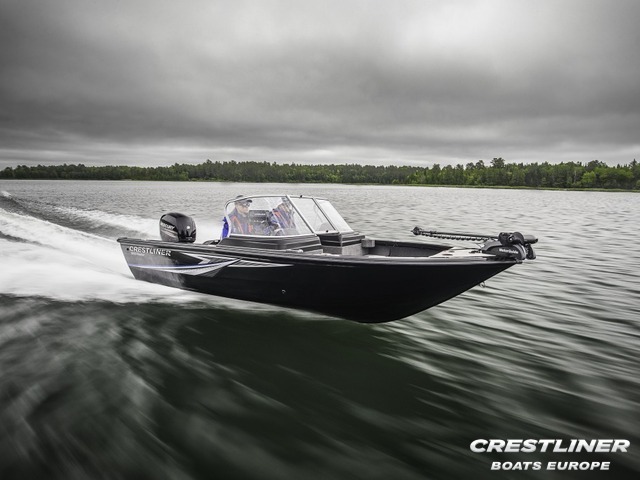 The modern design and the innovative way of construction makes the Crestliner one of the most popular Deep-V boats on the market. Our pro-staff team motivates us every time to further develop and professionalise our boats. Should your Crestliner Crestliner or other branded aluminum fishing boat be repaired or do you want to modify your boat then we are a partner who thinks along with you and executes it as agreed. 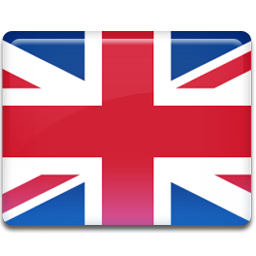 Our mechanics are professional professionals with a wealth of experience. They have all the required approvals and certifications. 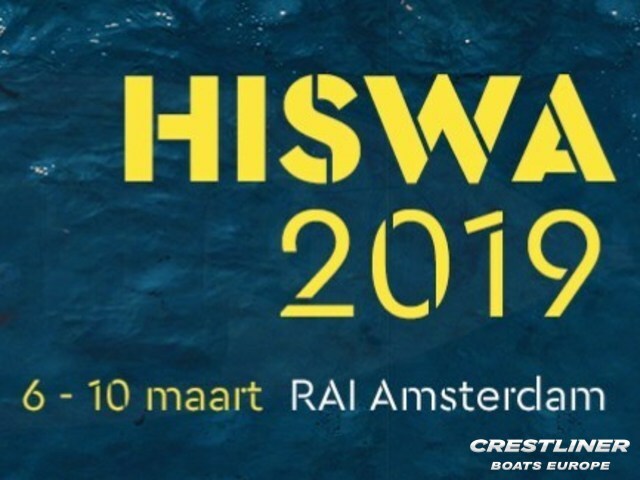 Tijdens de Hiswa in de RAI Amsterdam zullen wij met 3 boten op de Homda stand aanwezig zijn. 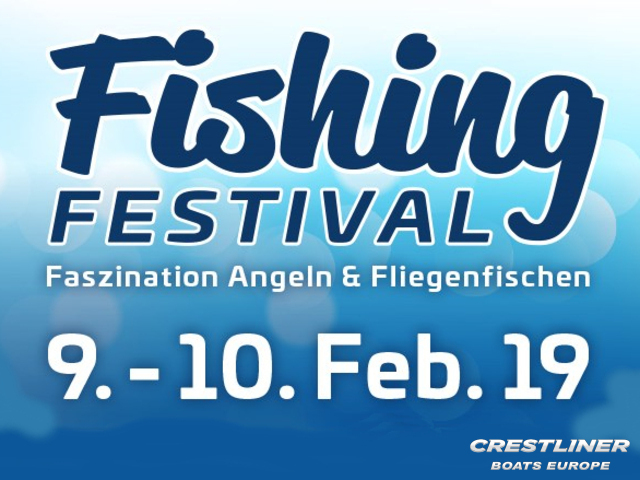 Together with our new dealer TopYacht for Austria we are present at the Fishing Festival in Wel (Austria).